Today saw the beginning of the first of a number of measures the BC Teachers are introducing in their fight for better educational practices in this province. They started rotating one day strikes. They have been without a contract for a year, been through two court challenges (winning both) and the governments response to this, any strike action will be met with a 10% wage decrease. This isn’t negotiating, this is bullying plain and simple. There are so many things wrong with this on so many levels it is hard to decide where to start. So I am going to leave wages alone and for those who want more in-depth information on the actual contract negotiations, Google it. After all you are suppose to be educated which means you should be able to find basic information. The only thing I will say about pay scales is that at the same time the government is threatening wage cuts top political staff were recently offered an 18% increase. I have no desire to defend Premier Clark but she did later roll that back. The problem is it got pushed off the political agenda and we have no idea what has happened since. I have a hard time trusting politicians these days. One of the main sticking points in the contract negotiations appears to be class size. This is an issue that is not exclusive to this educational jurisdictions. Calgary teachers have recently had to deal with the same issue. I am sure when I went to school class size wasn’t that big of an issue however schools were much simpler then. They weren’t a mix of health care, immigration and education policies. They weren’t a daycare program for a large portion of special needs students. They weren’t a hodgepodge of language barriers. Now don’t get me wrong, I grew up in a wheelchair and have some first hand experience with the whole concept of access and inclusion, two different concepts BTW however I will save that for another day. However teachers were trained to be teachers, not therapists or cultural integrators. Class size and class composition are much more important in todays society and that has to be acknowledged. I think it is best explained in a recent post from Genevieve Hawtree a BC grade 1 teacher so I will let her explain it and encourage you to read it yourself. The teachers, in this battle, are taking a position on the future of our kids. They realize what happens now will have a far reaching impact that we may not see for another ten or twenty years. Politicians, on the other hand, are only looking at what quick fixes they can achieve to get them through to the next election. They are, in effect, contributing to a less informed electorate by making it impossible for teachers to do what they do best, teach. In reality this is about short term pain for long term gain, a concept traditionally lost on politicians. Our young minds are losing out because the teachers are so busy with the issues created by size and composition. By convoluting class composition and increasing class size without the appropriate support staff in place the government is covertly dumbing down education. 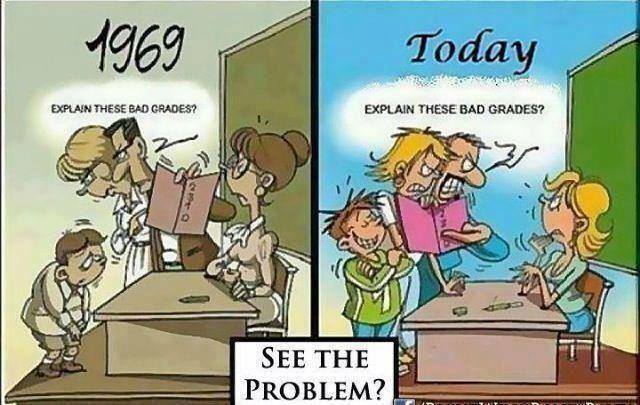 Studies have shown that over the past fifteen years the dumbing down of Canadian schools is having an impact. Canadian students are falling behind world standards when it comes to a wide variety of subjects. And there is nothing to indicate this is about to change. In fact all evidence points in the other direction, continued erosion of educational standards all in the name of political points. Violence and bullying are increasing in our schools despite reports of increased awareness spurring anti-bullying programs. Meanwhile politicians and school bureaucrats are using those exact tactics in dealing with our teachers. If using a position of power to intimidate teachers isn’t bullying then I don’t know what is. I do know it’s not negotiating in good faith. So what message does this send to our children? That there is a time and place for bullying so have at it kids. Right now the BC teachers are taking on a fight for the future of our children. It is the government that has turned these kids into pawns while hiding behind the BC Public School Employers Association. This entry was posted in Personal Life, Politics, Social media and tagged BC teachers, BCTF, educational inclusion, Just one man's opinion, teachers rotating strike, Terry Wiens. Bookmark the permalink. ← Are We Really Moving Forward?